I think this book inspires, rather true or not it is good to read to kids. operation however that does not change the fact that it is an inspiring book and may be true. I had such a hard time reviewing this book because I found my review picking apart rather it was true or not instead of writing about what the book was about. This is actually a revision to the last review. 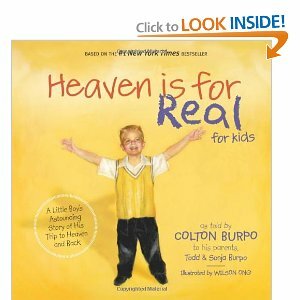 I would recommend reading this to your child in spite of so many questioning its authenticity. It a Disclosure of Material Connection: I received this book free from the publisher through the review bloggers program. I was not required to write a positive review. The opinions I have express in my reviews are my own. They are based on mine and/or my children's reactions to the book. I am disclosing this in accordance with the Federal Trade Commission's 16 CFR, Part 255 : "Guides Concerning the Use of Endorsements and Testimonials in Advertising."